There’s a big change happening in smartphones and tablets: more and more devices are moving to 64-bit processors such as the Tegra K1 Denver, Snapdragon 810 and Exynos 7 Octa instead of the 32-bit ones we’re used to, and super chips such as the NVIDIA Tegra X1 will make their way to Android devices too. But what are they and why should you care? Here are six reasons to buy a 64-bit processor phone in 2015. Before we get into the reasons, let’s have a quick look at what a 64-bit processor actually is. The number refers to the number of bits that can be processed or moved around simultaneously. Think of it in terms of digits: a 16-bit processor can deal with numbers with up to 16 digits at once; a 32-bit processor up to 32 digits; and a 64-bit processor up to 64 digits. 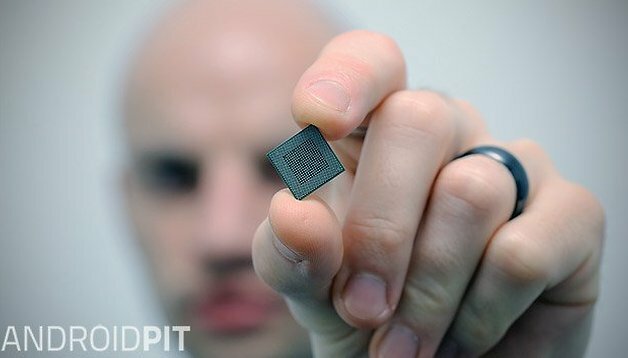 The number also applies to data and memory addresses, so where 32-bit processors can address up to 4GB of RAM 64-bit ones can potentially access billions of GB. So far, so straightforward. But what does that actually mean? Here’s the short answer: 64-bit phones will run faster, last longer, deliver better graphics and video performance and offer improved security. Here’s why. This is arguably the most important reason to embrace 64-bit phones. The ARMv7 architecture that powers most 32-bit phones is good, but it’s also getting on a bit: it’s been in phones for around a decade. The newer ARMv8 architecture is much more streamlined, more energy efficient and much, much faster when it comes to everyday tasks such as getting data from the phone’s RAM. That means everyday stuff such as user interfaces will be smoother, apps will be more responsive and gaming graphics and 4K video will be glorious. 32-bit processors can handle up to 4GB of RAM (provided the rest of the device is up to the job), but 64-bit ones can handle more - more than you could ever hope to cram into a phone. That’s not a huge deal today but it’ll be increasingly important from this year on, because the more we do with our phones the more memory we need. If you’ve got a huge high-res UHD HDR display, lots of programs running, 4K video streaming and eleventy billion Chrome tabs open you’ll appreciate the extra headroom 64-bit phones provide. Android Lollipop is optimized for 64-bit processors, and that includes the new ART runtime that runs your apps - so even apps that the developers haven’t optimized for 64-bit processors should run more quickly. Once the developers catch up, things should improve even more. One of the most important improvements in performance comes from anything that relies heavily on maths, such as media decoding - for example, 4K video playback - or encryption and decryption. The difference between 32-bit processing and 64-bit processing for such jobs can be enormous: in some cases algorithms that work just fine on 64-bit platforms are too slow to be used on 32-bit. If we’re going to end up using our phones as mobile wallets, we want the security algorithms to be the strongest ones possible - and for that, we need 64-bit. Firms such as NVIDIA and ARM are working on some very, very powerful mobile processors. NVIDIA’s Denver, the first 64-bit CPU for Android, was the highest performance ARM CPU ever made - and that was just the first of a whole new generation. NVIDIA, ARM, Qualcomm and Samsung are awfully excited about the performance their 64-bit processors will be able to deliver. By the end of 2015 it’ll be increasingly difficult to find an Android phone that isn’t packing a 64-bit processor. That applies to the lower end of the market as well as the high end: firms such as Huawei will be making their own 64-bit chips and MediaTek, whose processors power many low-end phones, is embracing 64-bit computing too. We’re excited about 64-bit phones, but it’s also important to take the marketing with an enormous pinch of salt. 64-bit processing isn’t a magic wand, and while it offers all kinds of benefits it won’t always deliver what you expect - so for example if you have a 64-bit device but the app you’re running has been heavily optimized for a 32-bit platform, you might find it actually runs more slowly on the more powerful device. 64-bit apps tend to use more storage space than 32-bit ones, and of course, any technology is only as good as the device it’s inside. If a phone’s a donkey it’ll be a donkey irrespective of how many bits its processor can handle. What do you think? Are you excited about the possibilities, or do you think 2015 will see the technology overhyped by the manufacturers’ marketing? does qualcomm snapdragon 615 64-bit processor running 32-bit android kitkat.. heats? is that because of the processor? or because of the 32-bit OS? i have a phone running the same processor and it heatsup alot.. normal temp is 40c and for small usage 45-50c during lite gaming its 55c and heavy gaming 65-68c.. benchmarking/stress test = 70-77c MAX... is it normal ?? will it be fixed if i install 64-bit android L?? Unless you pair a 2GB RAM or higher with a 64bit Processor.. there wont be any effective difference between the 32bit and 64bit processor enabled Smartphones. I say be happy with our current 32bit phones. make it last/ keep it til 2016. Cuz 2015 wont change much in apps/performance. Get 64bit this year and ur last years phone will seem faster, just not newer. i dont get it when come to get more RAM? If my phone is 64bit with 2G RAM, how to get more when come to lag? how to add RAM into phone? Nope, not for me, not this year. And that Saygus V2 looks bloody amazing regardless of its 32-bit processor. And yes, the hype will be high.